Werner Herzog’s maxim — that “we lack adequate images, our civilisation doesn’t have adequate images, and I think a civilisation is doomed or is going to die out like dinosaurs if it doesn’t develop an adequate language or adequate images” — has been quoted and espoused so many times, at least in the online company I keep, that it has almost passed into cliché. But, as Ed always likes to say, clichés become clichés because they’re true — or at least, their initial effectiveness (and often timelessness) leads to their reptition. Somewhat ironically, Herzog’s ‘adequate images’ line is about avoiding the repetitive nature of talk shows and television commercials and expressing ourselves through new visual language. And from the hip-hop montages of Requiem for a Dream to Natalie Portman’s ballerina resting in the spotlight at the start of Black Swan, Darren Aronofsky’s ‘adequate images’ are the equal of any current director. All that is well and good but if you don’t care, it doesn’t stick. The trailer for the new Godzilla played beforehand, and while it looked visually stunning, I’ll be curious to find out whether the concepts expressed in the film draw me in. You need good ideas to give those images some meaning that lasts longer than a few seconds. Fortunately, Aronofsky and co-writer Ari Handel breathe life into this ultra-familiar story by a) chucking in Ray Winstone as a villain seeking his own special audience with God, and b) tying it to some fundamental human themes: our quest to find a balance between justice and mercy, our alternately symbiotic and destructive relationship with our planet, and the value we place in love. These are all ideas we’ve seen before — indeed, they are clichéd — but they were expressed earnestly and poetically enough to capture my attention and imagination. The Bible has been the primary source of adequate images and clichéd notions in our civilisation for thousands of years. Speak of a well-known Bible story, and it conjures up cultural icons and universal themes: the Ten Commandments, Jesus on the cross, Noah and his ark. 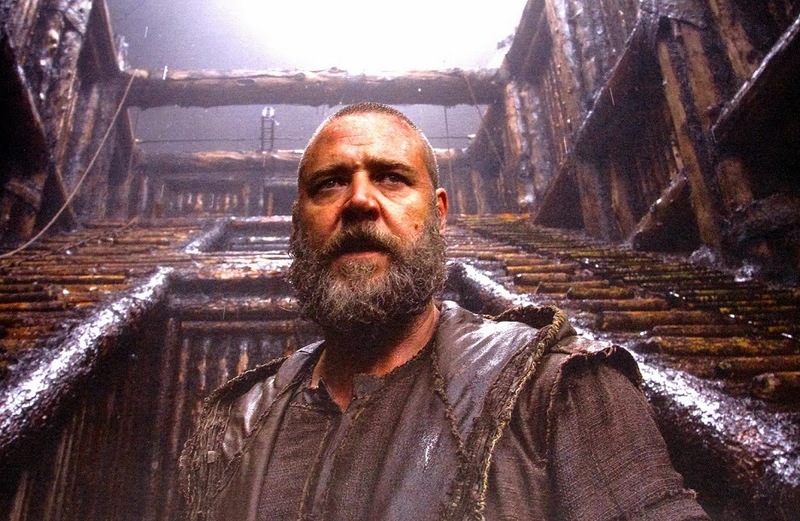 Aronofsky’s vision of Noah, filled as it is with broad artistic and emotional strokes, seems appropriate.